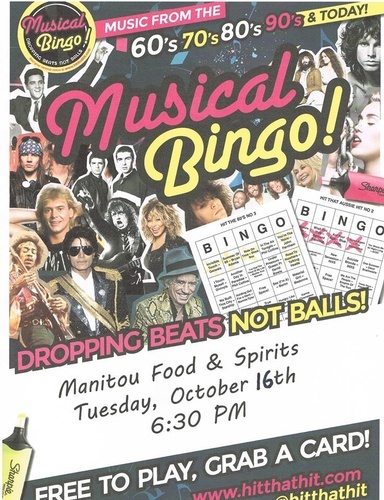 Musical Bingo, coming to the Manitou Food & Spirits. Much like Bingo, but rather than the numbers dropping, the DJ will be dropping the beats. Be prepared to know your music from all generations, and have a chance at winning some prizes at the Manitou Food & Spirts.